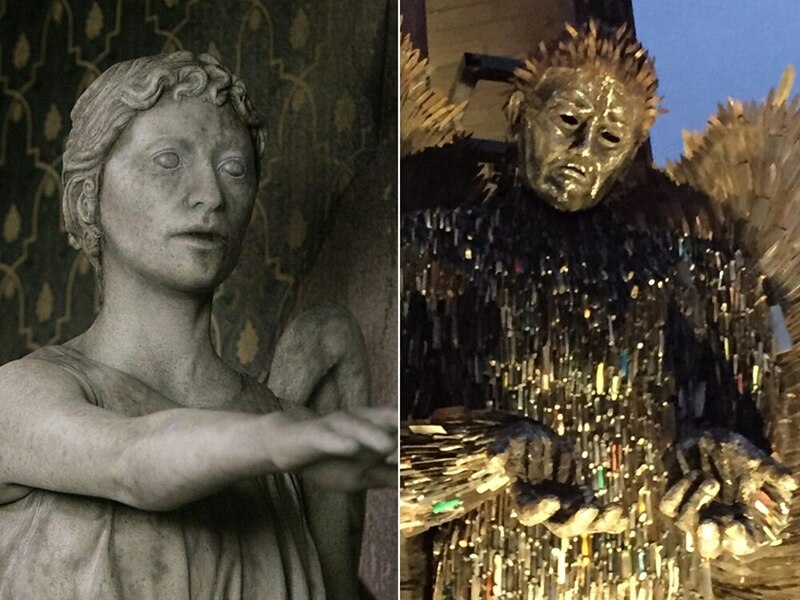 Don't blink – Star Trek legend William Shatner has noticed something about Shropshire's Knife Angel, and it is thrilling Doctor Who fans around the world. Mr Shatner, who played Captain James Kirk in the original series of the space opera, retweeted Liverpool Cathedral, which is hosting the giant structure until January 31. The Angel, built at the British Ironwork Centre, near Oswestry, out of 100,000 surrendered knives from across the UK, has been sent to Liverpool to raise awareness of knife crime in the city. The two-word tweet that Mr Shatner sent out to his 2.5 million followers said "Don't Blink", and is a reference to one of the most popular episodes of the revived Doctor Who. In the episode, broadcast in 2007, the terrifying Weeping Angels can move ridiculously fast when nobody can see them, but turn into almost indestructible stone if anybody looks at them. His tweet has had nearly 400 likes on the social media platform, and 40 retweets. Nearly 40 people have responded to it.